This is a beautiful Greek motor sailer, built in 1993, that is also faithful to tradition. Teak is the main element of woodwork throughout her attractive lines, whilst all carpentry is handcrafted. M/S Hermina has an elegant, very efficiently designed saloon and dining area in cream and teak. She also benefits from a vast amount of deck space for sunbathing, relaxation or al fresco dining. She can accommodate 10 guests in one double master cabin, 1 VIP double and 3 twin cabins, all with en suite facilities. 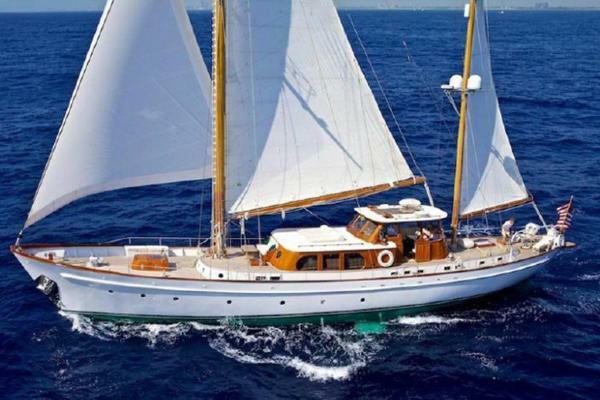 United Yacht Sales New Jersey would love to guide you through a personal showing of this 98' Halkitis Urania Ketch 1993. 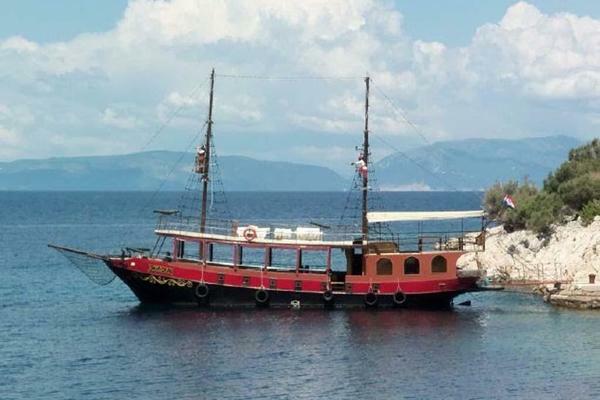 This yacht for sale is located in Athens Greece and priced at $1,250,000. For a showing please contact us by filling out the form on this page and we will get back to you shortly! The Owner's stateroom spans the width of the yacht and includes a queen sized double bed along with a sofa that can convert into a single bed. The VIP cabin has a double bed whist the further 3 guest cabins contact twin beds with Pullmans. All cabins are air-conditioned and have en suite facilities.The crew's quarters are totally separate from the guest cabins and include toilet facilities with a shower, and a separate entrance. A/C Condaria Italy 3 Copmressors 92.000 b.t.u.Water Maker: Hydromare 180 lit/h. Anchors: 2 x Dunforth x 200 KgChains: 2 x 165m 16mm.Windlasses: 1 Electrohydraulic 15HP Powered from Port EnginePasserelle: Electric 4.50m Side Gangways: Strb SideCapstans: 2 x 24V Electrohydraulic. Tender X 3.65m with 60hp YAMAHA Out board engine.